The rocking chair holds a special place in the culture of our country. It’s true. Absolutely everybody loves a rocking chair. New moms, youngsters, oldsters, babies and everybody in between. There is nothing quite as relaxing as the motion of a rocking chair going back and forth, back and forth, especially on a lazy summer evening. While rocking chairs are a much-loved piece of American furniture, a forerunner of the rocker appeared on the scene long before the rocking chair. The addition of rollers on cradles significantly predated the rocking chair we know today as rocking cradles were in use in Europe before the Middle Ages. Benjamin Franklin is credited by some as the inventor of the rocking chair in 1710 but other sources claim the rocking chair was invented by farmers or early cabinetmakers. The term “rocking chair” finally made it into the Oxford English Dictionary in 1787, thus ensuring that it was a piece of furniture that would be around for the long haul. American Shakers, renowned for their simple, functional furniture are credited with perfecting the design and created some of the best rockers of the mid to late 18th century. 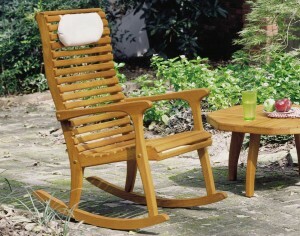 The first outside rocking chairs appeared in England in 1725. 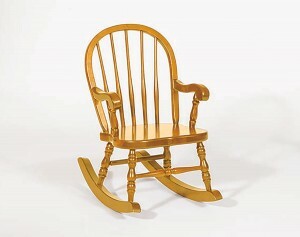 Appropriately named the “Windsor Rocker,” this rocking chair featured a hood-shaped back and “birdcage-like” spindles. 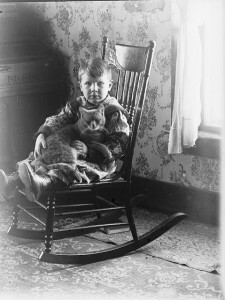 The American version of the Windsor Rocker, “The Boston,” appeared in New England in 1840 and was the first machine-made, mass produced rocking chair. Two decades later, in Germany, the “Bentwood Rocker” was invented and rocking chairs became a staple in both American and European households. Fortunately for you, the rocking chair has come a long way since the early 18th century! A perfect rocking chair is not just about the rocker that define it; it’s really about the details of its total construction that make it the perfect place to while away the hours whether you are cradling a baby or working on your laptop. 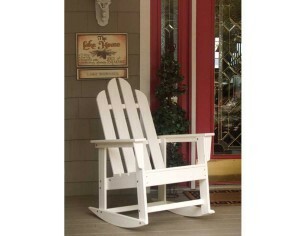 Our Long Island Rocker is an Adirondack-style beauty and works well on a porch, patio or deck. Made of sturdy polywood, it’s maintenance-free and stands up to the weather season after season. Available in 12 dazzling colors, you can mix and match to your heart’s content. 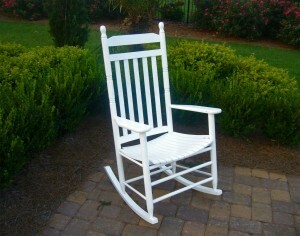 If you’re a traditionalist, then our heavy duty Ash Rocking Chair is the rocker for you. Constructed from 100% handcrafted Ash, this rocking chair is incredibly durable and will look good and last for many years. Available in 7 delicious colors, our Ash Rocking Chair also features a headrest for super support and a double contoured seat. It’s easy to fall in love with our Oak Highback Rocker. This luxurious rocking chair is made from Appalachian white oak and is sealed and coated with a clear, penetrating oil to give it a brilliant finish with incredible resistance to decay. The rocker is specially contoured to give you superior lumbar support so it will fit your back perfectly. 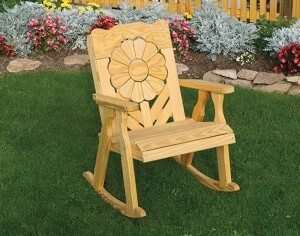 Our Pine Sunflower Rocker is not only beautiful and sturdy; it’s really fun, too. Its unique design looks perfect in the garden and makes a great gift for all the gardeners you know. Featuring a high back and side arm rests, the Sunflower Rocker is made of treated pine and can also be stained if you desire. And, because we know that kids like rocking chairs just as much as adults do, Fifthroom.com has kid-sized rockers in cherry, oak and wicker! 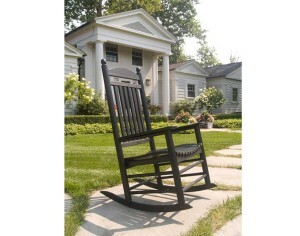 Let the good times roll (and rock) with one of our amazing rocking chairs. We’ve got an incredible selection in a variety of materials and styles (including rockers which will look beautiful inside your home!) and, as always, our products are Made in the USA. We guarantee, the minute you sit down in a Fifthroom.com rockers, you’ll be seized by an overwhelming desire to stop working and RELAX.